Ready To Fly remote controlled RC airplanes from Parkflyers RC come with everything you need to fly in one box. All of our radio controlled airplanes come pre-assembled, pre stickered with all the electronics already installed from the factory. There is no need for extra items or complicated assembly. All of our RTF RC PLANES feature the highest quality hobby grade separate components (no integrated crap like other companies). 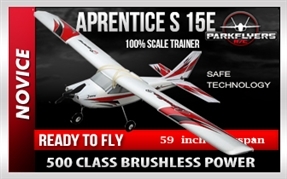 Furthermore, all Parkflyers RC radio controlled RC airplanes come with quality control certification to ensure your model comes shipped in working order. 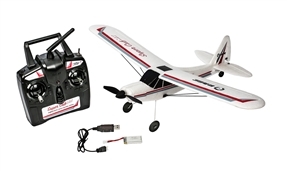 Remote Controlled Electric Planes – Ready to Fly! 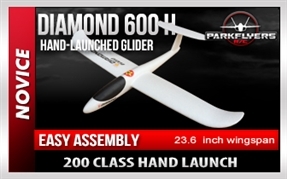 Buy ready to fly remote controlled airplanes from ParkFlyers, with everything you need to fly in one box. All of our radio controlled airplanes come pre-assembled, pre stickered with all the electronics already installed from the factory. There is no need for extra items or complicated assembly. All of our RTF airplanes feature the highest quality hobby grade components. Furthermore, all ParkFlyers’ radio controlled airplanes come with quality control certification to ensure your model comes shipped in working order.